Now that Logan is getting a bit older I've been looking to introduce him to some more advanced learning games so when Fisher-Price offered us the Red Rover Game to test I happily agreed. Red Rover is a fun filled memory matching game brilliantly suited to preschoolers. It helps them learn all about shapes, letters, colours and numbers as well as keeping them active at the same time. 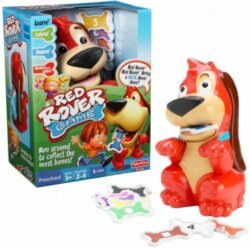 Red Rover is an electronic talking dog who comes with 12 bones each bearing a colour, number, shape or letter. How to play the game: place the bones around the area of play and Red Rover will call out which bone he wants for example "Red Rover Red Rover Bring a Blue Bone Over!" Kids must race around to find the right bone to feed to Red Rover – if they are right, they keep the bone. But if they’re wrong, Red Rover will encourage them to try again. Whoever collects the most bones the fastest, wins. A great interactive game. There are 2 modes which your child can play with Red Rover. The first is Level One which concentrates only on colours which is perfect for the very young children. The second is Level Two which brings in the letters, numbers and shapes so perfect to get that brain matter working. This game is really simple and very easy to play. It's tidy as well which is fab as when you're finished playing all you have to do is put all of the bones into Red Rover's back pack. The fact that it doesn't take up much space either is a bonus. Priced at around RRP £19.99 this game is suitable for children 3+ and can be played by 2-4 players. It does need 3 x AA batteries which aren't included so make sure and have some to hand if you're buying this as a Christmas presents for the kids. As Logan is only coming up for 2 (in the next 2 weeks infact) he's still not sure of colours but this was a good game to help introduce them to him. I know his little friend along the road is much better at colours and she would be able to play this game no problem, she's just over 2. Logan got a bit frustrated that Red Rover didn't eat the bones and it was a bit of a shame that he didn't but then how would you be able to tell who won? I suppose if the child wanted to play alone then having the option of Red Rover eating the bones if they got the right colour or shape etc would have been quite good. Just an idea really, not sure if it would work in practice. Overall a lovely game, simple, easy and helps your child learn at the same time. Unfortunately as Logan's a bit young it really didn't interest him too much although he did like to collect all the bones and through them over himself. He really did find this fun! 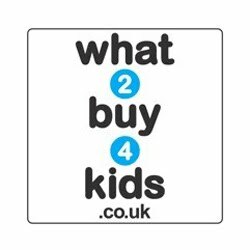 As for pricing I think it's very fair since it's an electronic game and your child will be able to play this over and over again. Please visit www.redrovergame.co.uk for more information about this product. 0 comments on "Review: Red Rover Game"